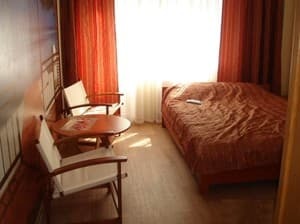 Hotel "Zlata" is located in the most picturesque place of the resort - the Professors' Corner of Alushta, at the foot of Mount Kastel 200 meters from the sea and 15 minutes walk to the water park. 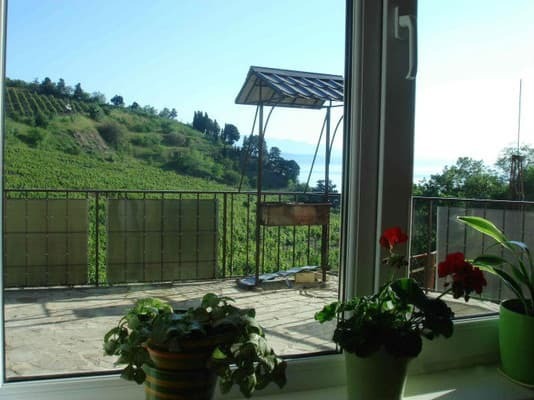 Here you will find friendly and highly qualified staff, cozy and comfortable rooms of "junior" and "standard" class, delicious home cuisine with delivery to the rooms, a beautiful view of the Black Sea and Mount Castel. Not far from the hotel "Zlata" in the water park. 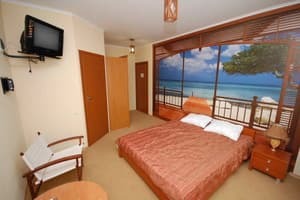 All rooms are equipped with air conditioning, TV with satellite TV, refrigerator, safe, in all rooms Wi-Fi access. PRICES MAY CHANGE, YOU NEED TO UPDATE THE OPERATOR'S INFORMATION! Description of the room: In the room hot and cold water - around the clock. There is a possibility of extra space. Description of the room: All rooms are well furnished, the rooms are equipped with balconies overlooking the sea or Mount Castel. Hot and cold water is served around the clock. There is a possibility of extra space. 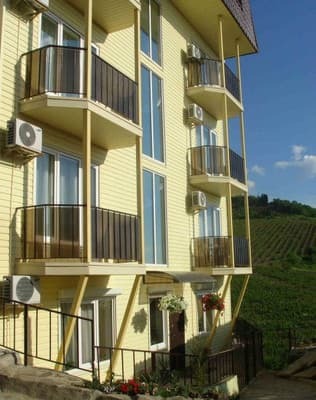 Description of the room: Two-room suite, equipped with everything necessary for rest. On the ground floor there is an iron and an ironing board. Hot and cold water is supplied around the clock. Children under 10 years stay free of charge. The cost of extra bed in the room is 25% of the room price. 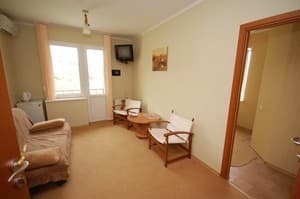 Professor's Corner of Alushta, at the foot of Mount Kastel 200 meters from the sea and 15 minutes walk to the water park. GPS: 44.650948.34.40094.